Fathers Day gift ideas handpicked from some of our favourite local businesses that we have had the pleasure of meeting since we started Tommy and Lottie. All of the small businesses featured are based in either Hertfordshire, Bedfordshire or Buckinghamshire and we wanted to give a bit of a shout out to these hard working, dedicated and inspiring businesses who offer British made, quality and unique products and experiences perfect to give to any special man on Fathers Day or for any other occasion throughout the year. Jen Roffe is a talented, St Abans based designer who specialises in typography and illustration. Everything she designs is hand drawn so it is completely bespoke. 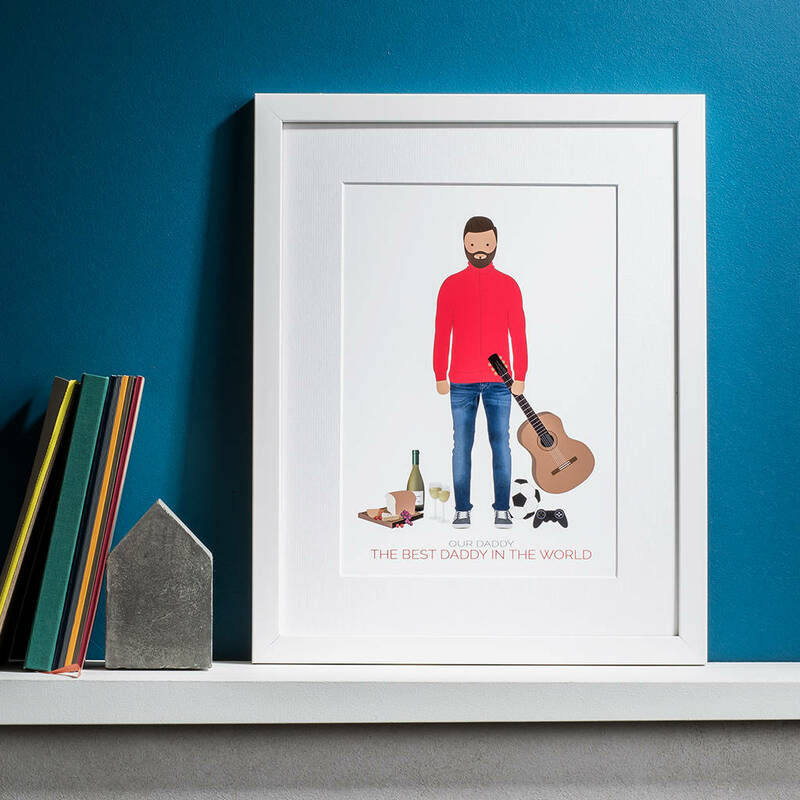 We particularly love this beautiful All About Dad personalised print that is made up of words which describe his character traits, shared memories or hobbies. Available in a variety of colours to suit any interior and a choice to have it framed or unframed. This modern and contemporary print by Little Florence and can be personalised for any Dad and include his interests and hobbies. Wether he’s a lycra wearing cyclist or a massive wine fan these prints can be adapted to suit his character and quirks. 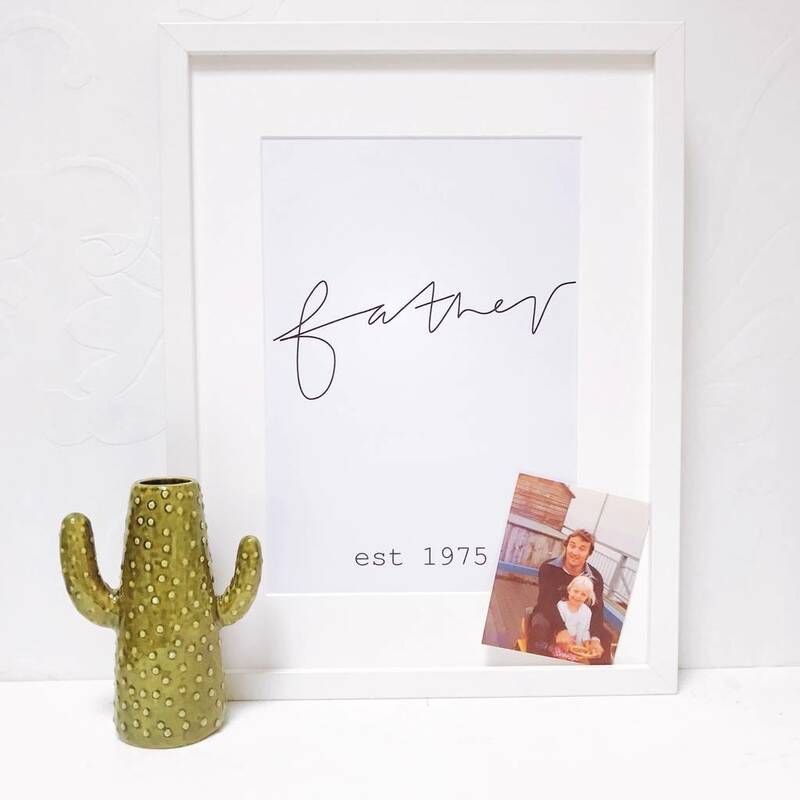 Simple, yet means so much this just a line father print would look beautiful in any interior. Add the year they became a father for a touch of personalisation. Available in sizes A3 or A4. Use photo’s of your little ones to create a personalised ‘Daddys World’ photograph map to treasure forever. Choose from a variety of frames and photo finishes such as sepia, vintage or custom Instagram style effects. Nila Holden creates the most tasty and exquisite ‘made to order’ biscuits for any occasion. 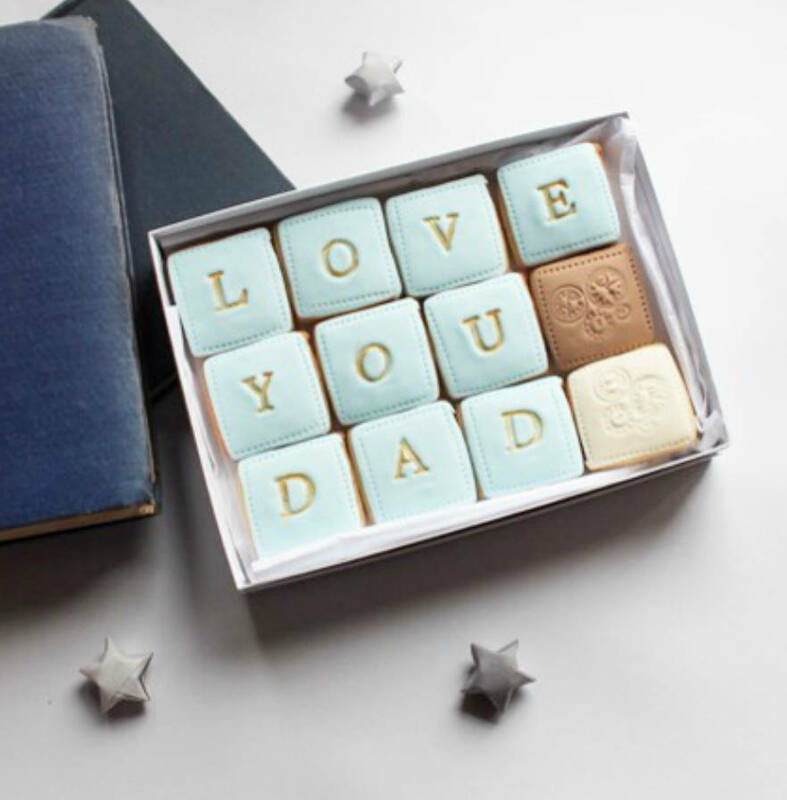 This love you Dad biscuit gift set box contains twelve, beautiful vanilla flavoured biscuits. An ideal present for any sweet toothed fan and you never know he may even share them with you! If your Dad loves his wine this personalised wine bottle could make the perfect gift. Choose from Red, White or Rose wine and a personalised message on the ‘chateau’ style wine label. 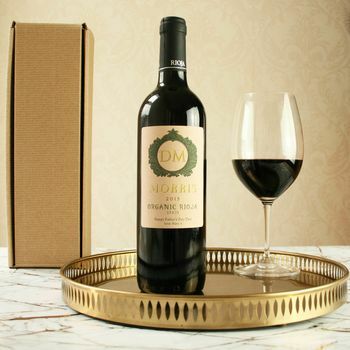 The wine bottle is wrapped in tissue and presented in a gift box with a tasting note card. Wheathamsted brewery Farr Brew , Hertfordshire are having a mini beer festival and BBQ on the 17th June which would make an ideal experience treat for Fathers Day and experience for all the family. A BBQ and tours of the brewery are available throughout the day and a number of Farrs and other local beers, wine, cider and soft drinks will be available. It just might be your turn to drive that day!